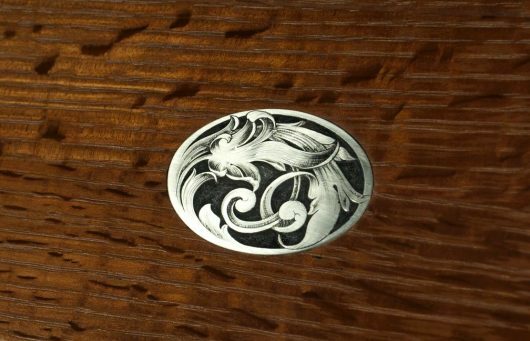 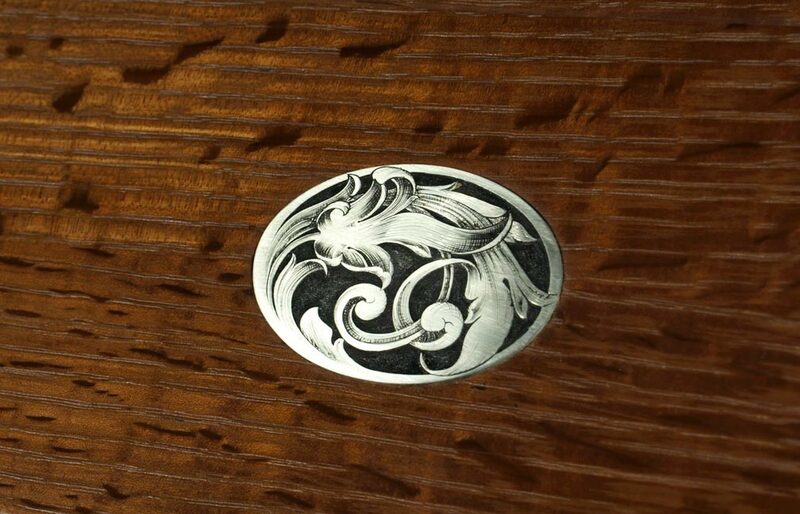 The contrast of woods and the beautiful ray figure of the brown oak offer a dramatic backdrop for the engraved nickel silver medallion. 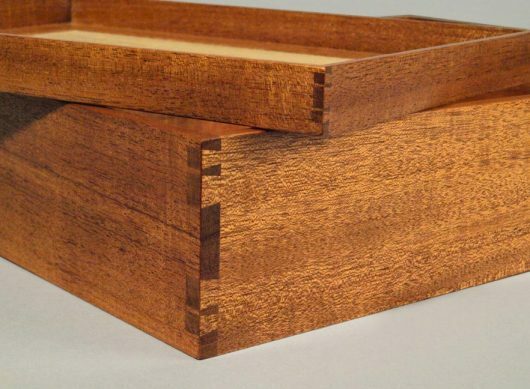 Small boxes are a delight to make and own. 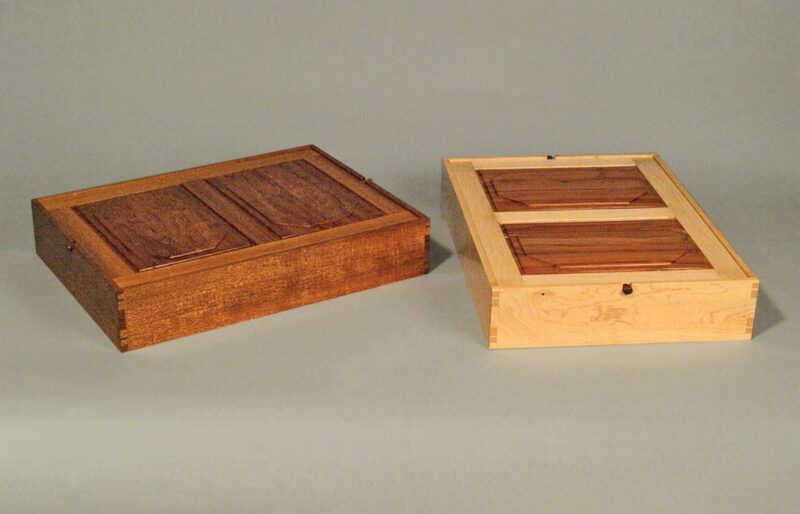 They are a forum for exquisite detail and delicate joinery—cabinetmaking on a very small scale. 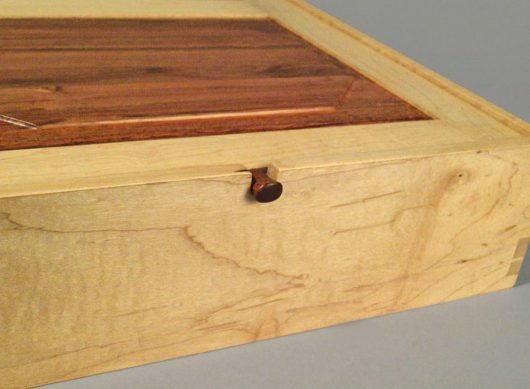 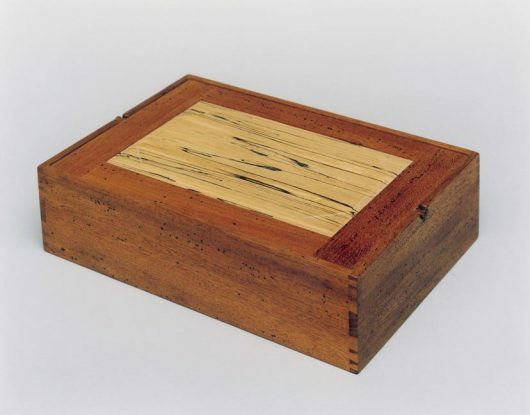 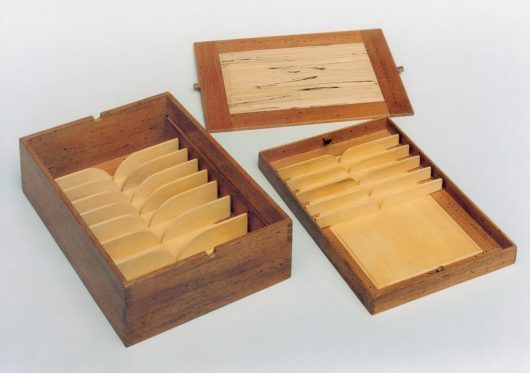 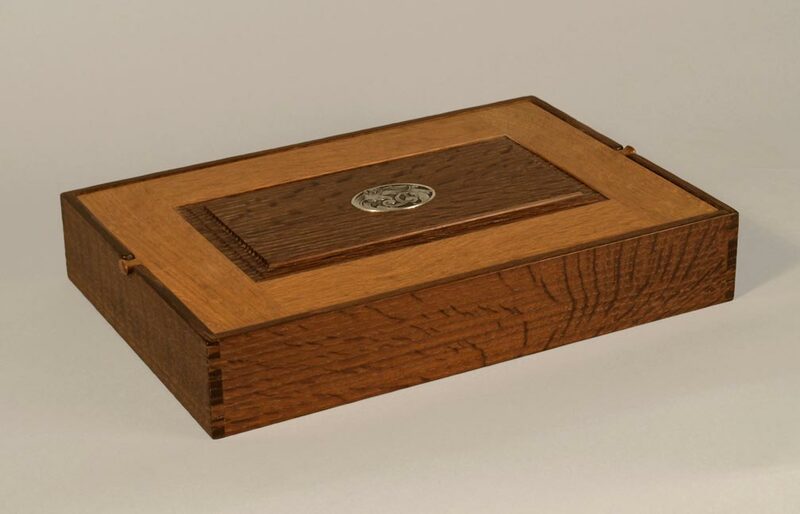 A small box to hold delicate craftsman’s tools, with a tray that gently floats in place. 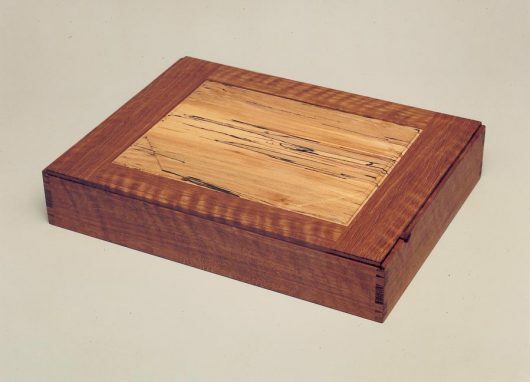 The interior, of California nutmeg pine, offers a pleasant fragrance upon opening. 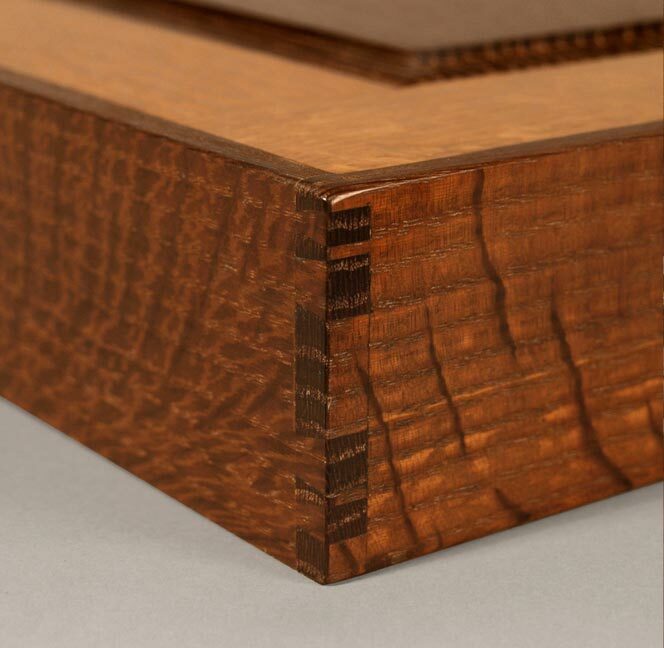 This rich piece of curly white oak is perfectly offset by the spalted beech panel.